Balancing work, personal commitments and caring for your Dad can be a daunting task. CareTemps assists you in that caregiver role. We provide private duty Care Providers to help your Dad while supporting as much of his independence as possible. We ask what's going on with your Dad and where the real issues are. We listen carefully and then recommend a care plan. An experienced Care Provider, carefully matched with your Dad's needs and personality, is handpicked to care for your Dad's physical, personal, nutritional, safety and comfort requirements. Care is provided wherever your Dad calls "home". Our Care Providers are selected after meeting the high standards that CareTemps has developed. We process employment and criminal background checks on all applicants prior to their becoming part of the CareTemps family. Moreover, an annual criminal background check is performed on all Care Providers. 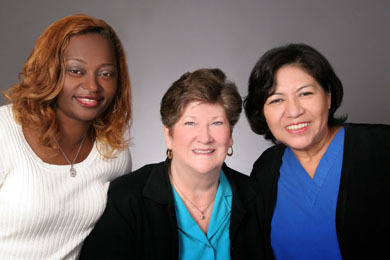 We choose caregivers who are professional, patient, and understand family needs. So our client families feel safe and nurtured with Care Providers who learn the client's individual needs and wants. Companionship — it's like having a daughter helping your Dad! Bed sore, also called "pressure sore" or "decubitus ulcer", is a frequent concern in elderly care. What causes a bed sore? How may a bed sore be prevented?